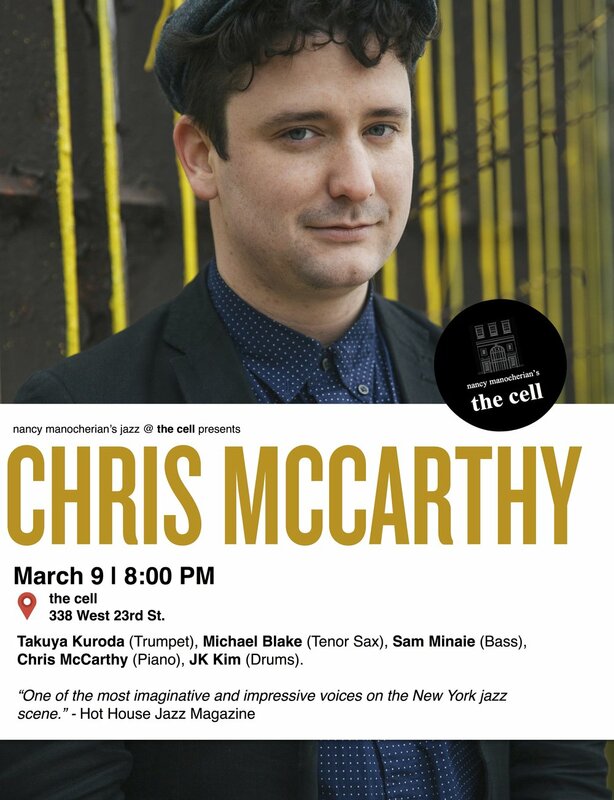 Hot House Jazz Magazine described Chris McCarthy as one of the most imaginative and impressive voices on the New York jazz scene. Since arriving in New York, Chris McCarthy has made a name for himself as one of the citys most in demand young sidemen. He has recorded and performed with established artists such as Jerry Bergonzi, Jason Palmer, Takuya Kuroda, and Lion Babe. He also regularly performs with up and coming artists like Hailey Tuck, Michael Mayo, Vanisha Gould, Tony Glausi and Sasha Berliner. Originally from the Seattle area, McCarthy was introduced to jazz at Roosevelt High School. He followed his passion for the genre to New England Conservatory, where he graduated with honors in 2016. While in Boston, McCarthy frequently performed with George Garzone, Phil Grenadier, John Lockwood, Noah Preminger, and many of the other master musicians in the area. In 2017 he released his debut album Sonder, which All About Jazz described as: a very promising release, and hopefully the first of many for this broad-minded and adventurous keyboardist. 2019 will see his sophomore release, an album by the super group of Takuya Kuroda, Michael Blake, Sam Minaie and Jongkuk Kim. Other highlights of the year include a North American tour with Sasha Berliner, collaborations with the acclaimed French vocalist Clotilde Rulluad, and a residency in the Swiss Alps in the fall.